Faith, Hope and Charity meet Help, Thanks and Wow in Anne Lamott’s latest book on prayer and the relevance of faith in these troubling and trying times. 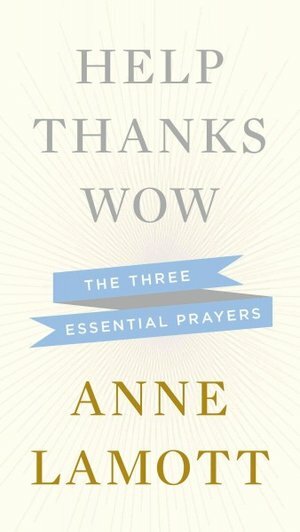 In “Help, Thanks, Wow,” Lamott offers three essential prayers to get readers through tough situations, everyday struggles, and the hard work of ordinary living. 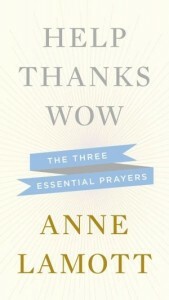 An instinctive and straight-talking writer, Lamott distills praying down to these three basics: prayers for assistance and need (Help), prayers for gratitude and relief (Thanks) and prayers expressing wonder and awe (Wow). She eloquently conveys how she came to understand and practice these spiritual insights, explains what they have meant to her and how they have helped her over the years, and shares how others have embraced and rejected these ideas. Nothing in her book will sway an atheist, but believers in a higher power may find heavenly inspiration for some earthly dilemmas in this pint-size yet deeply profound prayer manual.